NC series is an small cylinder bed (circumference 180mm), coverstitch machine for high speed and reliable performance. 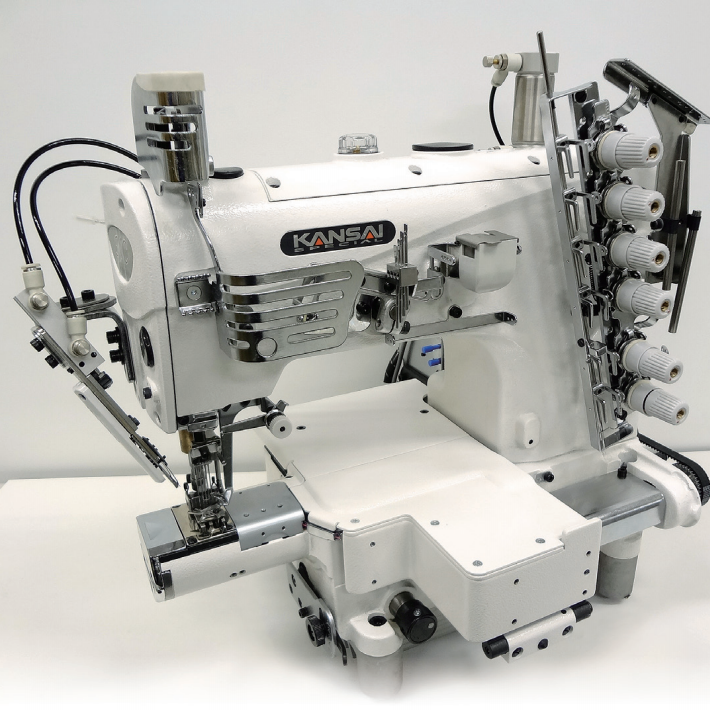 This machine has a small cylinder bed, differential feed mechanism and micro stitch adjustment. This machine is suitable for sewing sleeve cuffs, neck opening of baby’ clothing, children’s clothing. Applications: overlock seam covering and hemming.